Rising up out of the murky waters of anesthesia, I realize they are wheeling me back to my small room. I lay there, coming to my senses. I am at the doctor’s office. I just had a colonoscopy. Maile is in the waiting room. I nod, nod, nod, knowing this is when you should ask questions, but my mind is still not there. I make an appointment for three weeks down the road for another consultation, then walk out to where Maile is waiting for me. I lay in another bed, this time my own. I stare at the ceiling and listen to the traffic going by on James Street. The ceiling fan spins. Maile gets up in the darkness, retrieves Leo, and feeds him. He is three months old with his whole life ahead of him. This is how the night passes when you stare at the ceiling. There’s something wrong with me, something that can’t be easily fixed, something that doesn’t have a cure or a surgery. It’s something I will have until I die. Maybe I can control the flare-ups, maybe I can’t, but it will always be there. This is a strange thing to comprehend, when you are 37. It brings to mind many things, and moving slowly to the forefront is this glaring thing called my mortality. I will die. Most days it’s easy to forget that we will die. Most days it’s easy to think we will live forever. But then, every so often, you are brought face to face with the breaking down of your body, the erosion of this physical existence over time, our mental fragility, and it is not easy. I lay in bed, staring at the ceiling. Two days later I bought a dog. I am not a spontaneous person. I spent six months researching laptops before I bought my last one five years ago. I rarely make big purchases, go on last-second trips, or drop by unannounced. I am rather hobbit-ish in nature, and while I enjoy a good adventure from time to time, any day spent alone in my office is a good day. For a week or two leading up to my colonoscopy, I had been talking about getting a dog. Maile’s response was lukewarm at best. “It would be nice for you to have a dog in the house when I’m away,” I suggested. For some reason I chose to only hear the middle part of that, so on the Friday after I had my colonoscopy, I went out and bought a boxer. When I called Maile on my way home and told her about our new boxer Clementine, she burst into tears. Have you ever had a good friend ask you a question that was so on target it took your breath away? Have you ever had a friend whose insight into your life left you feeling rather naked? Yes, that’s the sound of the wind getting knocked out of me. There are dozens of things I could have been diagnosed with that would have been worse. Crohn’s is not a death sentence, and I’m hoping that with meditation and exercise and a diet change and prayer (and as little medication as possible), I can go into remission and stay there. My aunt is battling cancer; my friend’s father is grappling with ALS; others I know deal with chronic pain and severe disabilities. Crohn’s is none of these. I think, at the end of the day, the reason the diagnosis affected me the most is that it reminded me that I will not be here forever. I don’t think this is a bad thing to be reminded of. I think it’s something we all need to think about, from time to time. But when a simple reminder of that fact feels like such a huge blow, I have to wonder. What is it about the way I see and live my life that makes it so difficult to ponder my death? It’s been a rough seven days. Last Tuesday my truck got hit-and-run while parked on the street in front of our house. On Saturday the van we were borrowing (while my truck got fixed) broke down and left us stranded while we were trying to get to a retreat. Today we found a new home for our dog, a sad day, and when I went out back to get the rest of her stuff I realized my bike had been stolen. I’m starting to feel like I’m living in a country song. But even after all of that stuff, I still remember how I felt walking out of the hospital after my recent three-day stay. I still remember how happy I felt to be out, to be alive, to be walking down the street on a beautiful summer day. Alive. I felt very alive, but more than that, I felt very thankful and determined to live a life that valued the things that are important to me, not the things that are urgent or demanding my attention or even the things everyone else thinks are important. I don’t want to lose that feeling. That thankfulness. That is what I keep coming back to. And that is the reality, isn’t it? We are all mortal, yet facing that truth is beyond difficult. For me, one of the most powerful prayers is “Lord Jesus, be with us now and at the hour of our death.” Encompasses everything, I think. That’s a beautiful prayer. Thanks for sharing it. Well spoken, Shawn. I have faced my own mortality on a number of occasions; once with a kidney infection that was silently and asymptomatically going to take me down, another in a near-miss rowing incident involving a very large ship and a very fragile sculler. It’s an awakening feeling; all of a sudden the important stuff is ever so clear and crystalline, and the dross is so very dross. But it can be numbing too; it can make us wish to hide and “be safe” and not risk and pull back. Or buy a dog. Whatever. Once a year the Athonite monks go down into the catacombs to see the piles of bones of the brothers who went before them, knowing that their own bones are destined for these nondescript heaps as well. It is considered a great good to “remember death”, helping one to live life with a proper perspective of it’s brevity (which helps one to endure temporal suffering) and of it’s mission (to do the works of God in the time one has). May we carry our remembrance of death up and out into the world, may it make us more faithful disciples of the One who came to die. I like the story of the piles of bones – maybe that’s why I’ve always enjoyed walking through cemeteries, and yes, may this remembrance make us more faithful disciples. Facing into our own inevitable death isn’t fun nor is it easy. And we all deal with it at different points and in different ways. A diagnosis like Crohn’s is bound to elicit exactly what you’re feeling. I’m sorry for this news, but also glad to know that you (and your medical team) now know what you’re dealing with. I’ve known others with this disease, one woman who was diagnosed at about age 15! Many blessings as you continue to process all of this. 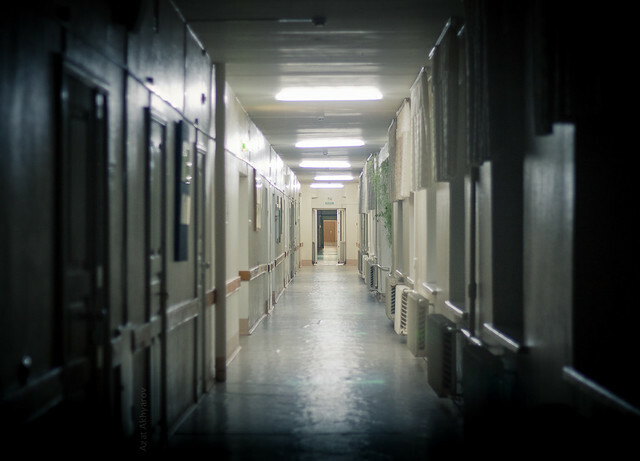 As a hospice nurse, I am in touch with people who come face to face with their mortality every day and those who do well are those who deal with it honestly. Some “buy dogs”- they suffer the most emotionally and spiritually; however, some “find new homes” for the dog. They are the ones who grow and stretch and learn to walk this unfamiliar path with a measure of courage. Facing your mortality is not a bad thing. It reminds us that the One who is Immortal and created us as mortal, holds our numbered days carefully in His hands. Thank you, Mary Jane. You are very kind and wise.